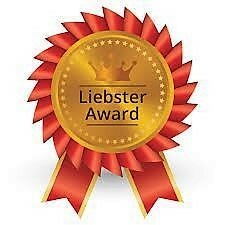 Thank you Ludiah for nominating me for the Liebster Award. The icing on my cake is getting the 2017 Liebster Award. Before I explain, let me give some history about this award. The Liebster Award is an internet award. It is given to bloggers to recognize and appreciate their achievements in the world of blogging. The Liebster Award started in 2011 with its origins from Germany. The word Liebster means beloved, sweetest, or dearest. For me, this award is like the icing on my cake because the year has been fruitful and meaningful, and I attribute this to ten friends. 1. In January this year, (2017) Walter Akolo of ‘Freelancekenya‘ invited me to his writing group, ‘Remarkable Freelance Writers in Africa.‘ This is one of the best writing groups on Facebook. Walter is a great example of what a mentor is. I met several friends who have added a lot of positivity and value to my entrepreneurial journey. 2. Spike Wyatt of ‘spikewyatt.com‘ is a friend I call generous. He has given free website hosting to many upcoming entrepreneurs. He is an editor praised by many great writers. He gave me great advice on running the group Zealous Business Owners and introduced me to Catlin Bacher who teaches how to run successful Facebook groups. She is an Admin at the Zealous Business Group. She is hardworking and visionary. She always has ideas for improving the group. She wants to see all members of the group succeed in their online journey. 4. Robert Kariuki is a great guy. He is an Admin in the Zealous Busines Group. You know the saying, “The greatest people do things in silence.” Robert is that committed supporter who is in the background but moves mountains. 5. Susan Gichuhi of ‘SusanGichuhi.com‘ is a friend I can count on for support whenever I need it. She is interesting, has a great work ethic and keeps things real. 7. Maggie DIY from ‘Your Online Freelance Solutions‘ is the kind of person Oprah will say you need as a friend. I can count on her anytime to give a video presentation or teaching. Even when she is busy, she will find or create the time. 8. Every Sunday I look forward to getting inspiration from Alison Kabaara of ‘The Relationship Mirror.‘ It is so refreshing to begin your week with inspiration from the word of God. Alison is faithful and committed to inspiring her readers. 9. Michael Destiny the Web Programmer extraordinaire who runs ‘michipel.com‘ has been an excellent resource for me. Helping me fix some things on my website, and giving technical and internet advice. He is quite busy but always finds time to assist. 10. Thank you Ludiah for Nominating me for the Liebster Award, and giving me this opportunity to thank all who have made 2017 a great year as an online entrepreneur. Ludiah is that friend who keeps on giving. She is kind, caring, and supportive. I have seriously gone far, and am still progressing because of the support of these great and awesome friends. Thank you all for making 2017 an incredible year. Enter your email for monthly updates. Congratulations for this icing on the cake. You are amazing and you deserved the award. Thanks for the mention. To be mentioned in the same sentence as Oprah is wowing. And yes, you can count on me; making the best this life. Thanks Maggie. I am blessed to have you as a friend I can depend on. Thank you, Joyce. I love your title! The title caught my attention. You made 2017 a great year for me. I thank you!